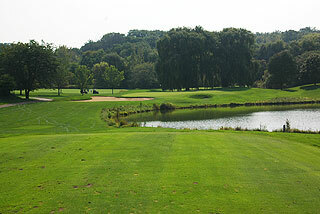 Abbey Springs located on the southwest shores of the lake in Fontana, about 15 miles from the town of Lake Geneva is considered by many to be Wisconsin's Most Beautiful Golf Course. 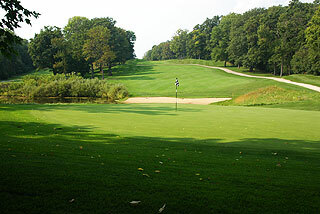 The golf course was built in 1971 and was designed by Killian & Nugent, a well-known golf design firm that has laid out many renowned courses in the Midwest. 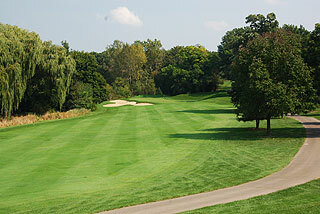 The course is now a four 1/2-star rated golf course by Golf Digest "Places to Play". This layout offers a top-drawer golfing experience that will provide wonderful experiences and strong tests of golfing skills. In addition to dealing with uphill and downhill lies, golfers find large sloping greens and water hazards in play on about half the holes. 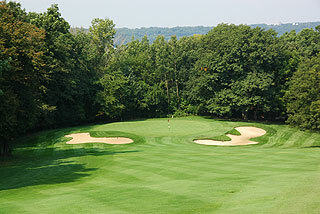 This is a course that has challenged some of the best golfers in the state in amateur and collegiate events. 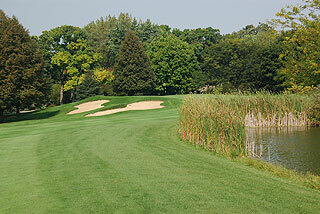 In fact, PGA player Steve Stricker set the course record, 66, while playing there as a college golfer. Bunkering on course is understated, but water comes into play frequently in all shapes and forms mostly on the front nine. In total there are only 26 bunkers and three holes (including two par fives) have no sand traps, and nine holes feature water hazards. 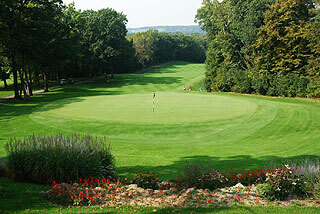 Abbey Springs also makes the ideal site for golfing parties and outings. 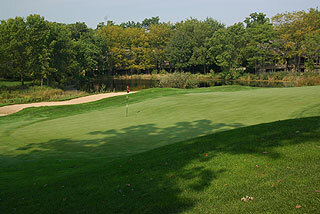 The clubhouse features meeting rooms, a full menu restaurant, a pro shop, and a half way house. 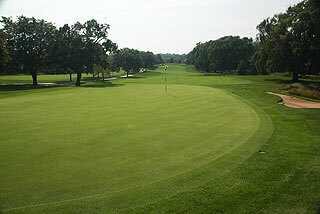 The practice range is about 140 yards in length for use of wedges and shorter irons, and there is a spacious short game practice green where for chipping and putting. There are 4 sets of tees that play to distances and slopes that measure 6644 yards/136 slope, 6307 yards/133 slope, 5523 yards/125 slope, and 4668 yards with a slope of 124 for ladies hitting from the front tee areas. On course sprinkler heads are measured to the center of the green, along with yardage markers from 100, 150, 200, and 250 yards. Color coded flags provide daily pin placement info. Bunkering on course is understated, but water comes into play frequently in all shapes and forms mostly on the front nine. In total there are only 26 bunkers and three holes (including two par fives) have no sand traps, and nine holes feature water hazards. For more information and a link to this course's website, visit our information page by clicking here.